Owned and run by the local community, Sani Lodge offers comfy accommodation, guided walks, kayak trips and stunning views from a 37-meter tower. 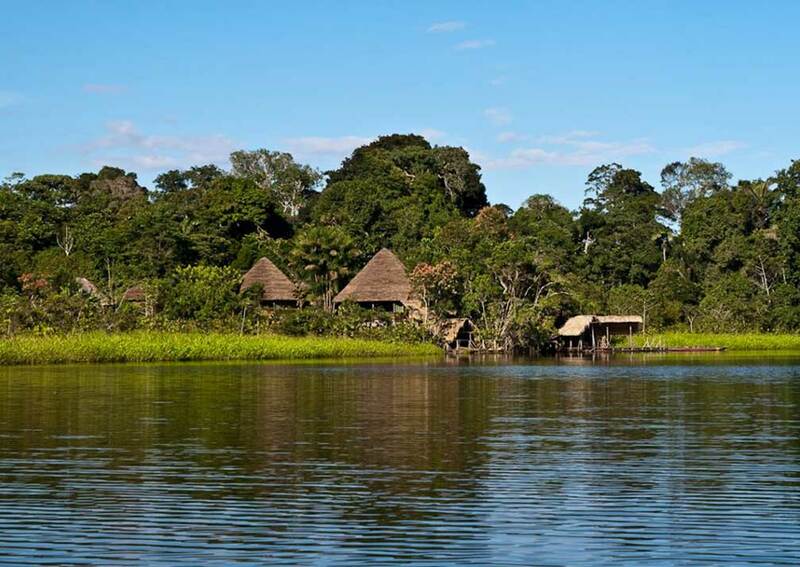 Sani Lodge is perfectly located for exploring Yasuni National Park in the Amazon. The lodge is owned and run by the local Sani community and your stay benefits both the environment and the local people. The bird life in this region is prolific, there are around 500 species recorded here including toucans, herons, kingfishers, parakeets as well as rarer specimens like the rufous potoo and white-eared jacamar. Monkeys thrive and you can expect to see several of the 13 species. Reptiles, amphibians and insects are present in large numbers too. On a typical day at Sani you will have 2 guided activities, 1 in the morning and another after lunch. You can choose between walks in the forest, kayaking on the lake, watching wildlife from the 37-metre observation tower and observing flocks of birds at the parrot clay lick. 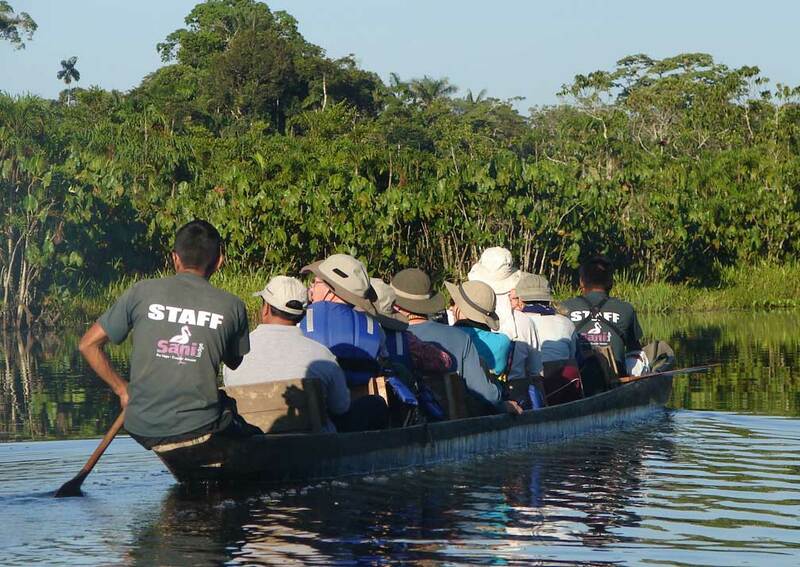 You also have the chance to meet members of the Yasuni community to learn about their culture, and to explore the rainforest after dark. There are 14 individual cabanas including 4 larger units for families, accommodating a maximum of 38 guests. 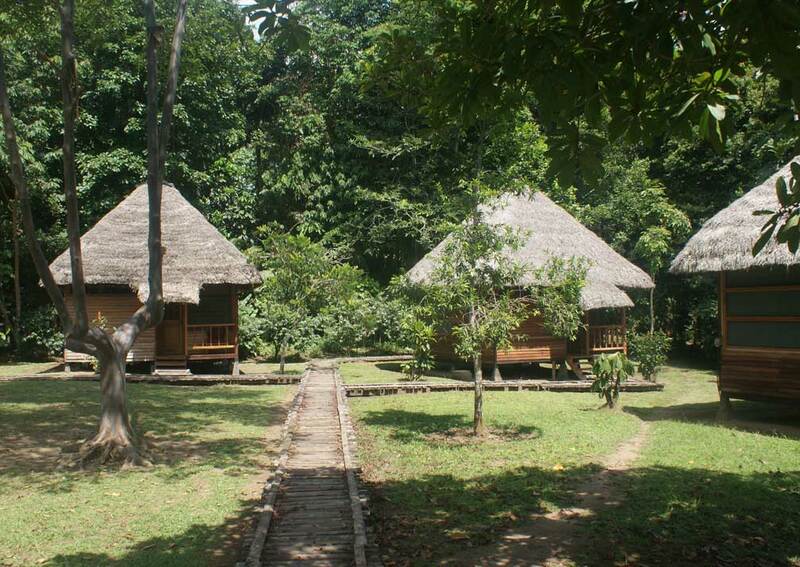 They are rustic in appearance, built of wood with thatched roofs and mesh windows. All bedding is provided and beds are fitted with mosquito nets. 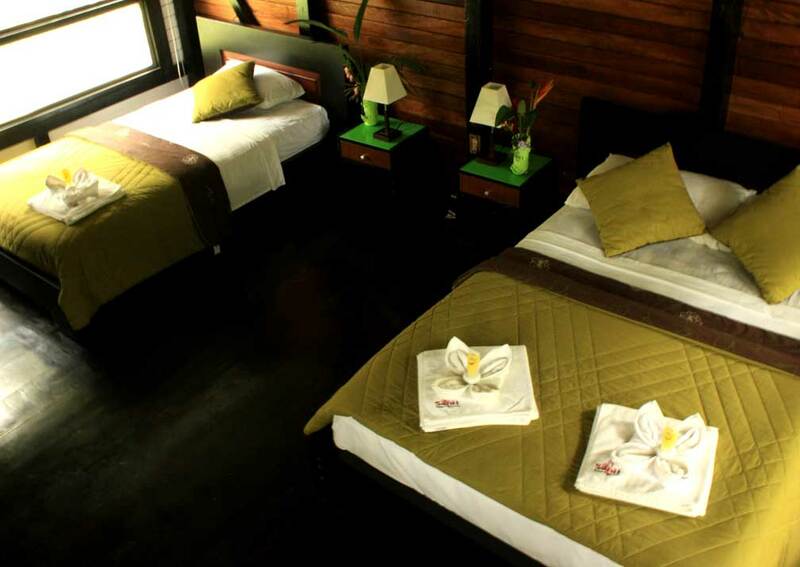 Each cabana has an en-suite bathroom with hot and cold running water, and a deck with 2 chairs. Breakfast, lunch and dinner are served in the open-sided restaurant which faces the lake and is a great place to watch the sunset. The bar serves a range of beverages and sitting here you can watch a variety of birds among the nearby trees and plants. Children of all ages are welcome. Those under 5 years stay free of charge, and between 5 and 12 pay half the adult rate.